In 1776, we Americans declared our independence from King George III of England. The upstart former colonists won the American Revolutionary War against King George and his Redcoats, and in 1787 we created the United States of America. Many Americans at that time sought a new King George for our new country, specifically urging General George Washington to wear the first American crown. General Washington, of course, could not tell a lie, and told his fellow new Americans that the United States of America should be a republic, not a monarchy. So rather than becoming King George, he became our first president. Over the past 230 years, America has remained a republic, but for reasons this red-blooded American does not understand, we have still been obsessed by the British monarchy and have flirted with the idea of having our own king or queen. In the 1952 presidential election, the historian William Manchester suggested that General Dwight Eisenhower should be made our king, and Adlai Stevenson our prime minister. While our nation remains a republic, we Americans are obsessed with the British Royal Family. This coming Saturday morning at 4:00 a.m. Eastern Daylight Savings time, over 20 million Americans will arise in what I regard the middle of the night (3:00 a.m. Memphis time), to watch the televised broadcast of the wedding of Prince Harry and Meghan Markle, live and in royal color from St. George’s Chapel in Windsor, England. I will not be among them. At that time of the morning (or more accurately, the night) I will be in bed with my wife, Queen Claudia the First. 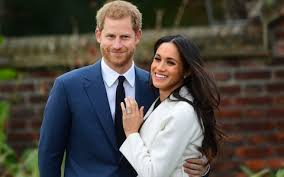 But for the rest of the weekend, I will not be able to escape the nuptials of Prince Harry and Lady Meghan (or whatever they’re going to call her) unless I refuse to turn on my TV, my radio, or read a newspaper. There will be 24-7 non-stop coverage of the wedding of the man who will never be King of England, since he currently stands fifth in the line of succession behind Charles, Prince of Wales, Prince William, Duke of Cambridge, Prince George of Cambridge, Princess Charlotte of Cambridge, and Lisa Marie Presley, Princess of Memphis. The truth is there is nothing really royal these days about the Windsors. They are a dysfunctional family. They should star in their own reality TV slow.